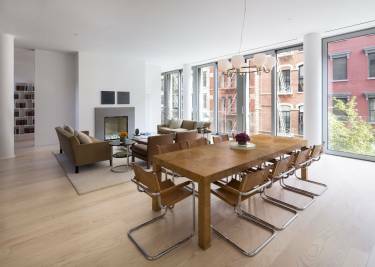 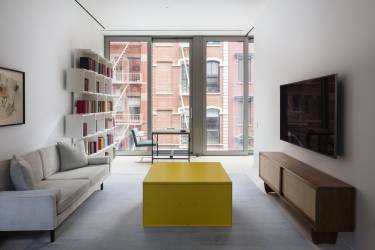 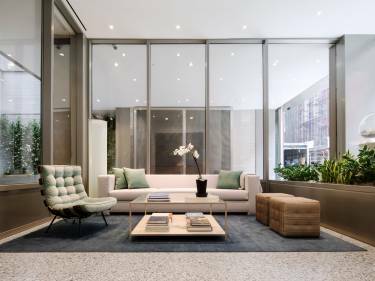 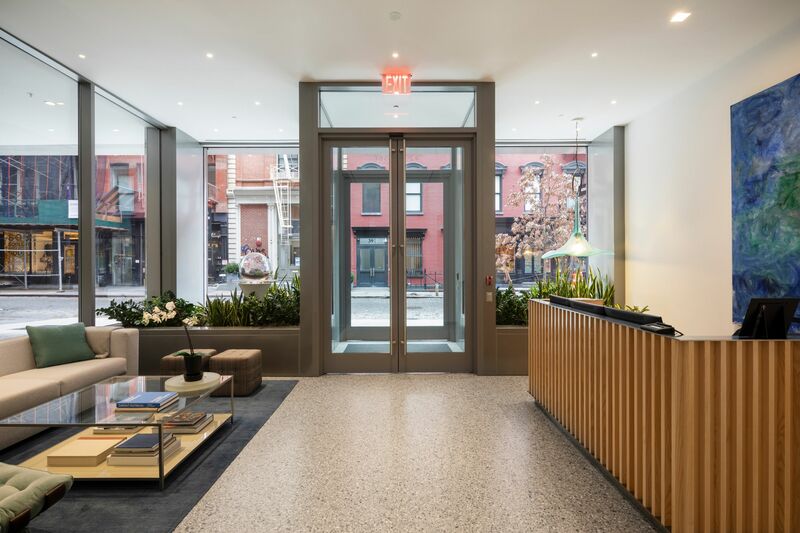 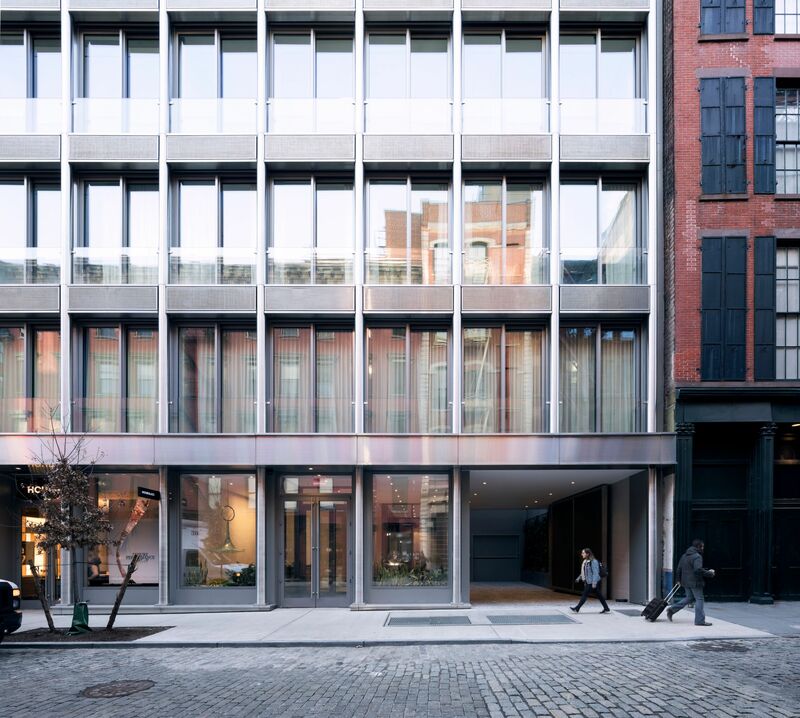 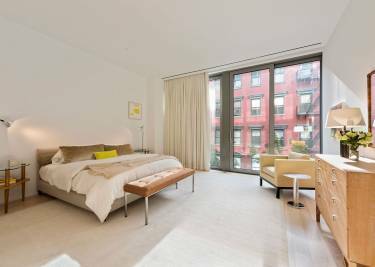 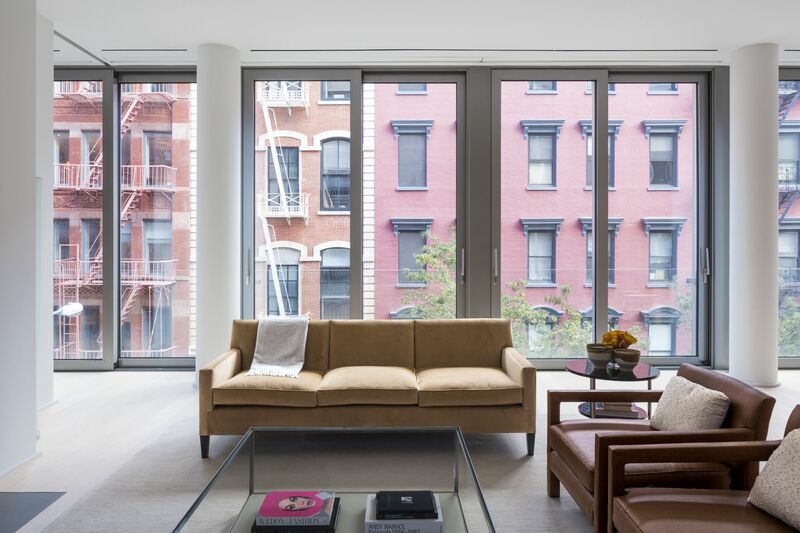 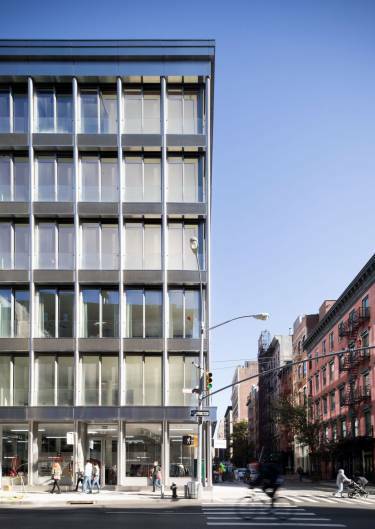 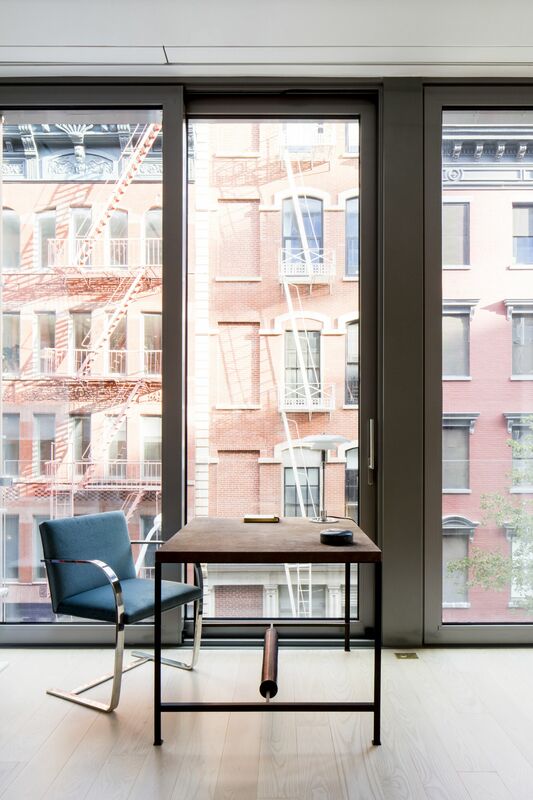 Located in SoHo’s Cast Iron Historic District, 42 Crosby Street brings forward-looking architecture grounded by context to a landmarked neighborhood. 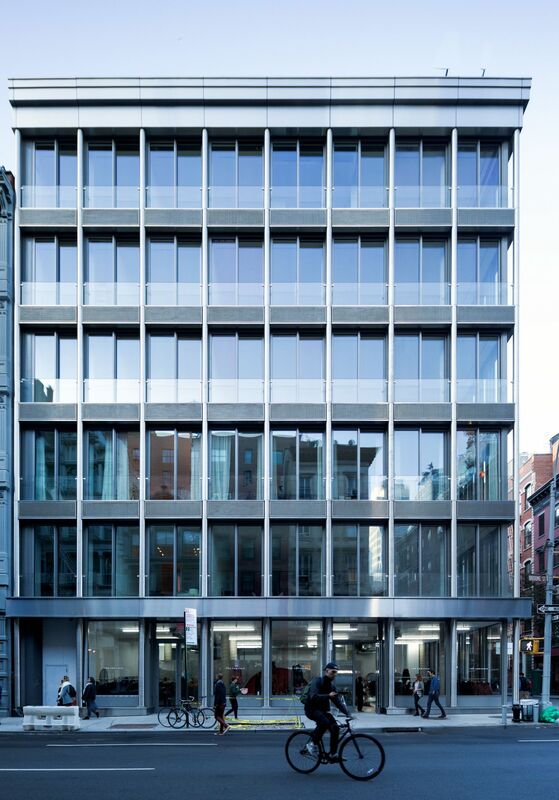 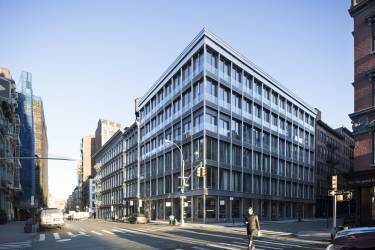 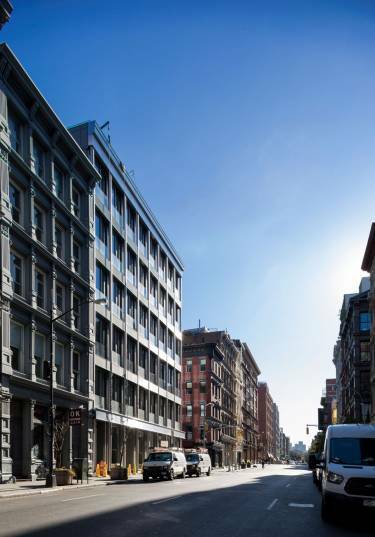 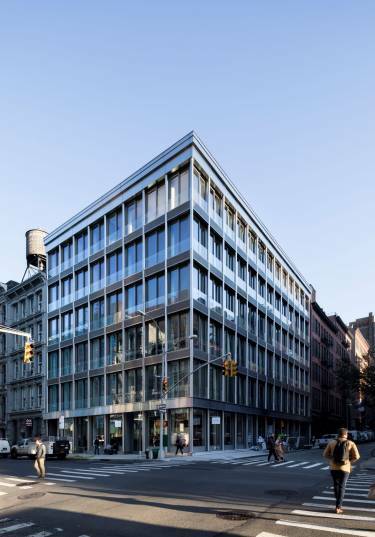 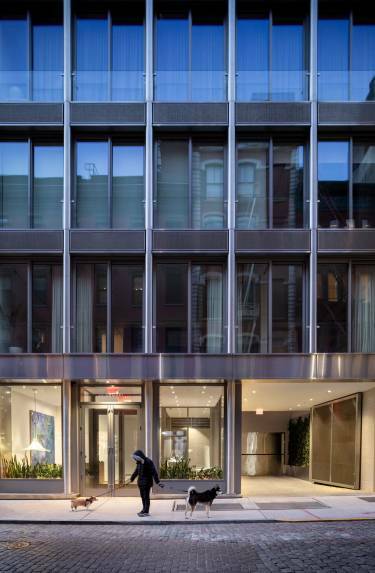 The design evokes the essential qualities of SoHo’s cast iron buildings—their uniform composition, column and spandrel vocabulary, and use of pre-fabricated construction techniques—articulating them through a strong modern design. Exterior materials including stainless steel, aluminum frames, metal mesh, and exterior shades are layered to create the depth, texture, and the play of shadow and light that exemplify the neighborhood’s historic architecture. 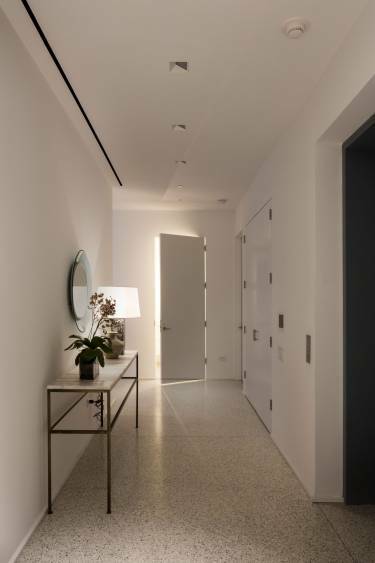 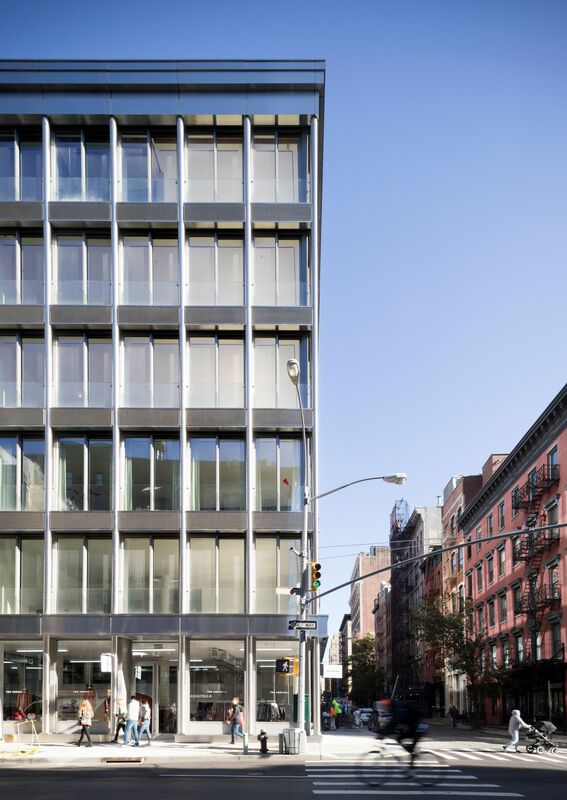 The resulting architecture of 42 Crosby resonates with its context yet is also new and transcendent. Presenting a strong corner presence, the 7-story residential building contains nine apartments and a duplex penthouse, with retail shops at the ground level. 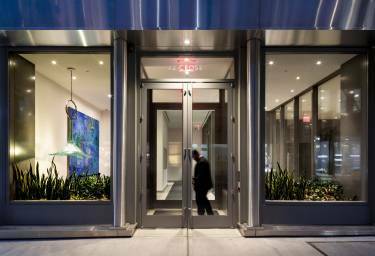 Parking is below grade with a porte cochère providing privacy for residents. 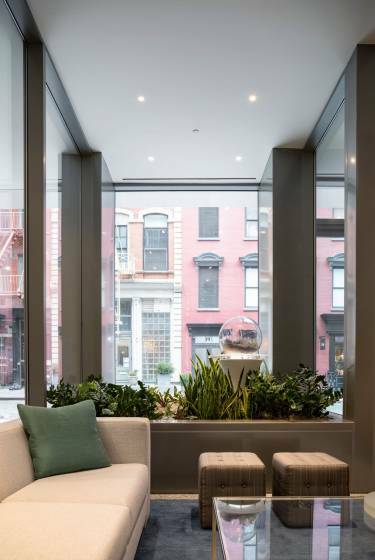 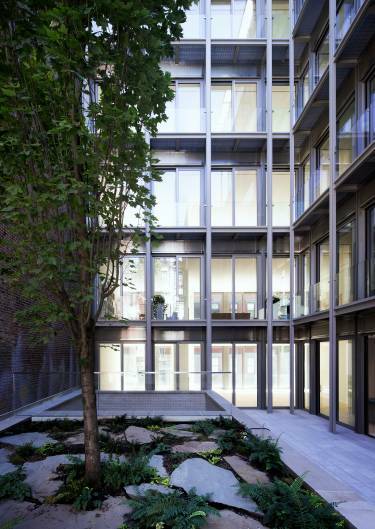 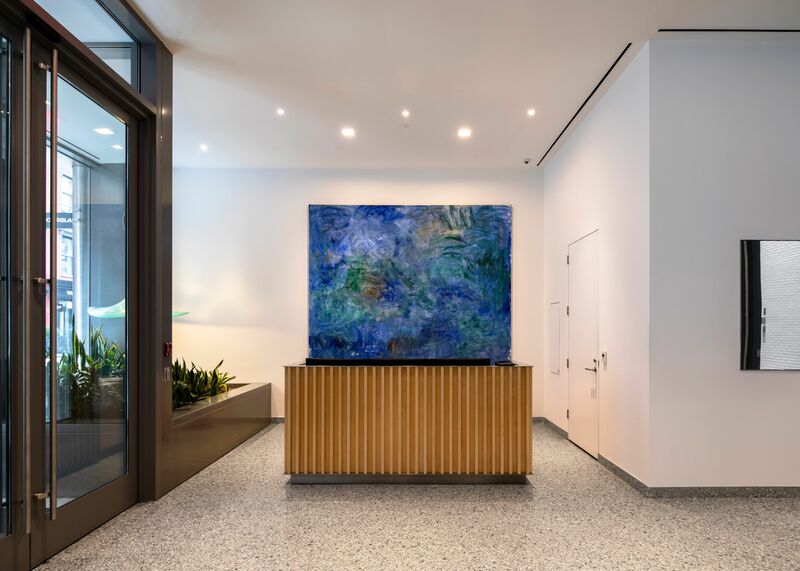 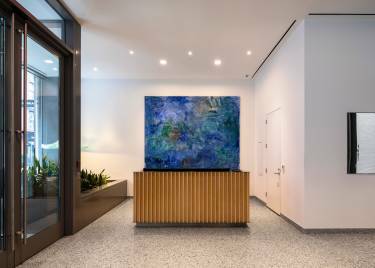 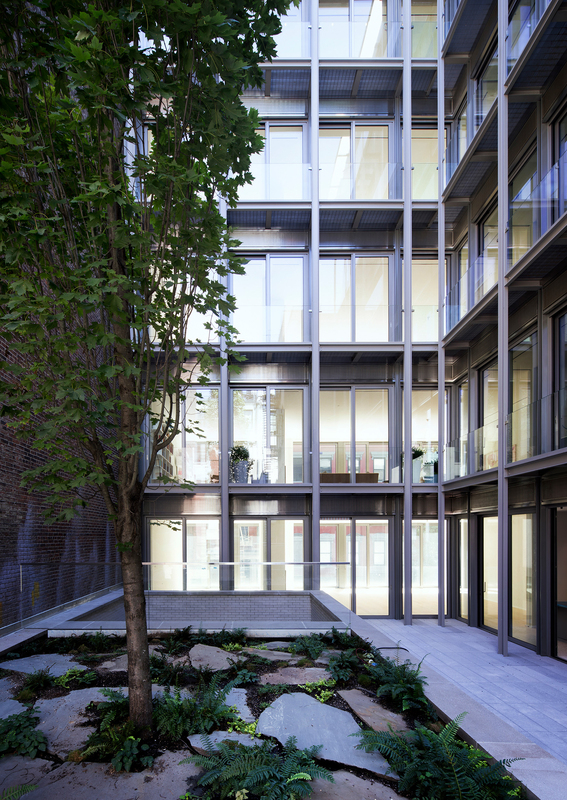 Landscape elements are integrated throughout the building with a living green wall in the porte cochère, an interior courtyard with a fully mature Norway Maple tree, and terrarium gardens and sculptures by artist Paula Hayes in the lobby, visible to the public from the street. 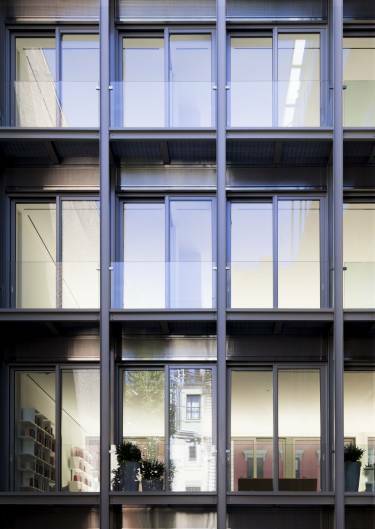 The exterior window shading system is an innovative and energy-efficient component of the design, mitigating solar gain and significantly reducing heating and cooling costs. 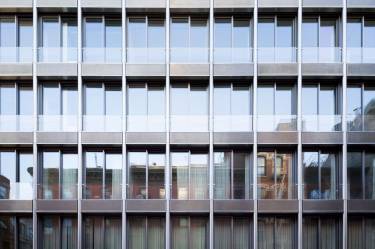 Shades will automatically raise and lower in response to exterior temperature and lighting conditions, ensuring overall building efficiency.